Get more for your money at the Quality Inn and Suites hotel in Canon City, CO located off Highway 50. Nearby destinations include Royal Gorge Bridge and Park, Royal Gorge Route Railroad, Dinosaur Depot, Museum of Colorado Prisons and Fremont Center for the Arts. Enjoy amenities like free hot breakfast, free WiFi, fitness center, sundeck, courtyard patio and an indoor a hot tub. 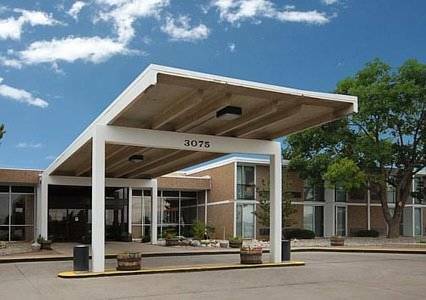 Additional amenities include our restaurant, cocktail lounge, guest laundry facilities, a 250-guest meeting room and access to copy and fax machine services. Guest rooms include a coffee maker, work desk, iron and ironing board. Also, earn rewards including free nights and gift cards with our Choice Privileges Rewards program. Pet accommodations: 10.00 USD per pet per night. Cripple Creek's most palatial brothel has been preserved for connoisseurs of naughty history. ~21 miles from Canon City. ~26 miles from Canon City. ~34 miles from Canon City.